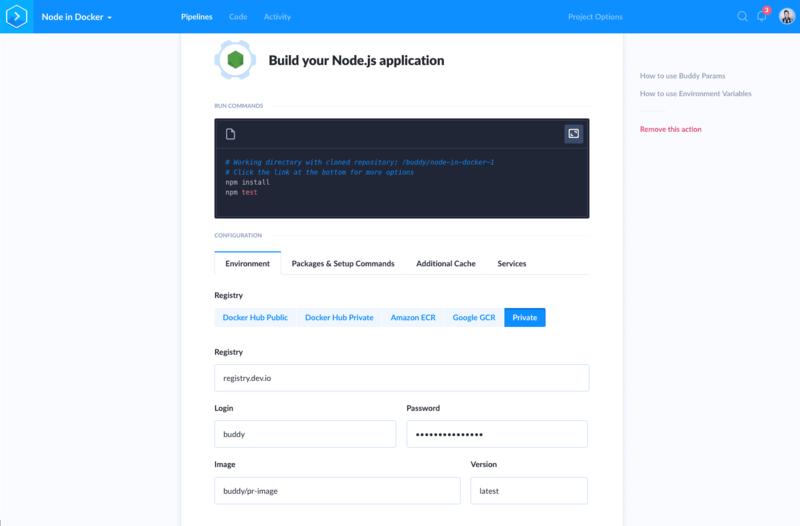 Basing on the feedback from our users, several months later we added an option to build custom images and push them to private repositories, with dedicated support for public Docker Hub, Google Container Registry, and Amazon EC2 Container Registry. We’re happy to announce that you can now use images from private registries in your builds, including Docker Hub, ECR and GCR as well. 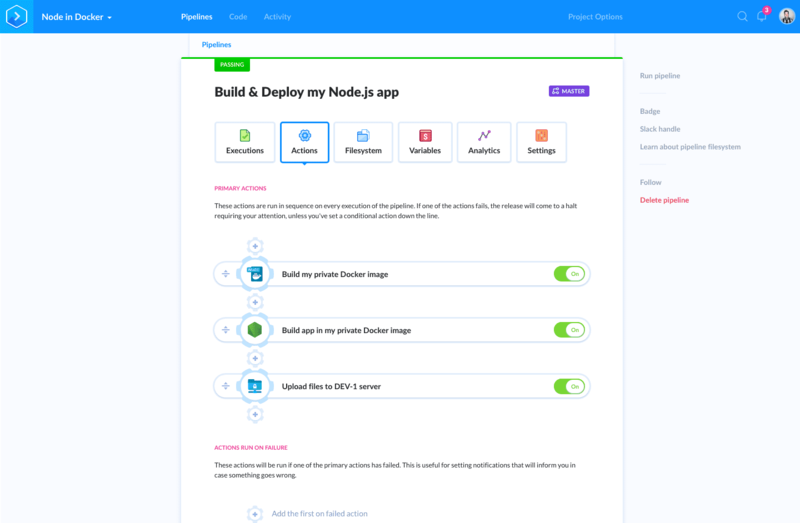 TIP: You can also use Buddy to easily automate your Kubernetes/GKE workflow – for example, apply deployment or run pods/jobs on push to branch. INFO: You can learn more about building Docker images with Buddy in this article.